In a Northeast D.C. park named in Chuck Brown's honor, music lovers and residents paid tribute to the genre innovator Saturday. WASHINGTON — Aug. 22 will mark the birthday of Chuck Brown, the D.C. musician widely known as the Godfather of Go-Go music who died four years ago at the age of 75. In a Northeast D.C. park named in his honor, music lovers and residents paid tribute to the genre innovator Saturday. Hundreds of people moved and grooved to the music of the Chuck Brown Band, Plunky and the Oneness, and Secret Society on stage at Chuck Brown Memorial Park (2901 20th St. NE). 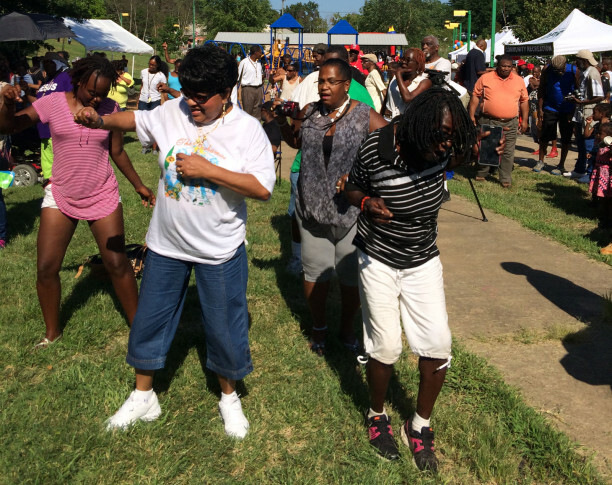 “This is the second annual Chuck Brown Day … he’s legendary and we’re excited so many people are out here today,” said Gwendolyn Crump of the D.C. Parks and Recreation Department. The Chuck Brown Foundation — headed by the late artist’s sons Nekos and Wiley — handed out more than 900 back-to-school backpacks at the event. “We’re all about the people. We strive for things that our father lived through and things he believed in,” said Nekos Brown who said the foundation focuses on education, homelessness and helping those freed from incarceration readjust to society. And they both agreed that their dad’s music is impossible to listen to standing still. “You’re going to at least move your feet. You’re going to move something once you hear it because it almost takes over your body,” Wiley Brown said.